I’ve felt for a while that Social Media can provide more traffic to websites than SEO and at a far lower cost when done effectively. The key to this working is to get the right followers engaged across Facebook, Twitter and other social media platforms. It is this approach that guides much of the social media work going on at Bristol Marketing. Proof that it’s the quality of followers you have on social media and how well you interact with them that makes all the difference when you look to develop your brand. With just 240 followers at the start of the week, The @bbroyston twitter account managed to received more than 15,000 views, brought 168 website visits and saw tweets favourited 78 times. With today’s follower number up to 297, that’s almost a 25% increase in followers in just 7 days. The key to successful Twitter use is a mixture of public conversations about your area of expertise, getting involved with conversations about trending topics and a personal touch. No-one wants to follow a business account that does nothing but send out repeated automated sales tweets. People, not businesses, operate business accounts. They want to engage, communicate and yes, sell too. 1. Getting involved with a trending topic. 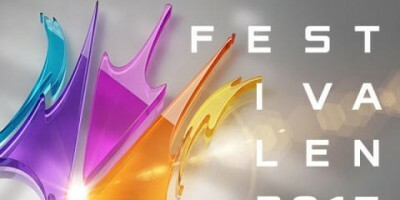 On Saturday nights, I usually settle down with the other half or friends to watch the two main prime time TV shows of the week: Strictly Come Dancing on BBC1 and X-Factor on ITV. I tend to send out four or five tweets during the shows using hashtags to engage in the trending topics. I don’t class it as working, but when you work in social media, even personal tweets count in your stats. If you’re original, use multimedia such as images or videos, you have a better chance of people engaging with you, ‘favouriting’ your tweet or retweeting it to their audience. When their audience retweets your tweet and then their audience retweets it, your tweet is classed as viral because it spreads out through the Twitter Community. 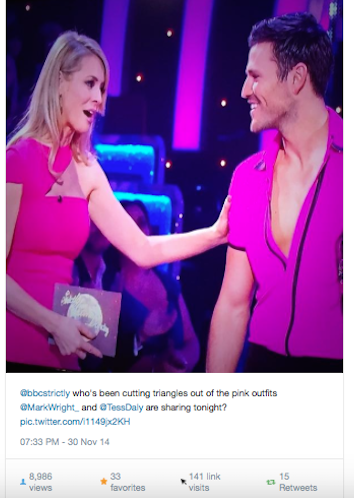 This week, the official BBC Strictly twitter account retweeted the tweet I sent them about Mark Wright’s costume and Tess Daly’s dress. With over 338,000 followers, that meant a huge increase in the number of people seeing the twitter post, and many more favouriting and retweeting. Although the tweet only showed up for a few seconds, because of the number of tweets by the account and the number of people talking about the topic, it still created a bump in stats. World AIDS Day takes place on December 1st every year. It is marked and supported by people wearing Red Ribbons to raise awareness about AIDS and HIV, removing the stigma attached to it and raising funds towards treatment and finding a cure. It is a cause I support passionately. Whilst I might not have a voice as loud as supporters such as Princess Diana, Prince Harry or Elton John, I still want to do my bit and show my support. By tweeting with the World AIDS Day hashtag, I can show my support using social media as well as wearing the red ribbon to show people I see on the street that I’m supporting the cause. By favouriting and retweeting my tweet, others can show their support and help raise awareness by increasing the audience that my tweet received. 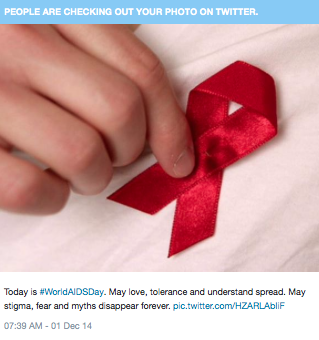 As a result of this tweet, my Red Ribbon was seen by over 1500 people. Without it, it would have only been the 20 or so people I saw on December 1st that would have been alerted to World AIDS Day by me. Again, this shows the importance of social media and it’s ability to spread visibility and awareness of who we are and what we do. It’s important to maintain a personal touch on twitter. Your account should reflect your personality, if its a personal account, that shouldn’t be a problem but remember, social media gives you an online extension of your personality. If you act differently on Facebook and Twitter to how you would normally act, you’re effectively creating a false identity and distorting the impression of who you really are. I make no secret of the fact that I’m a Leicester City Football Club fan. 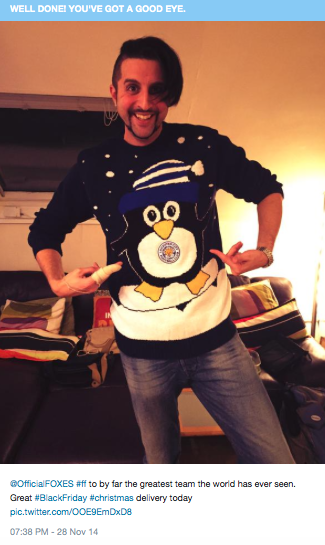 A friend convinced me that at the grand old age of 35, I really should have a Christmas jumper for the festive season, so I ordered one from the club shop at LCFC.com. It arrived on Black Friday and I posted a thank you tweet to the football club on Twitter. @OfficialFOXES, the Leicester City FC account retweeted it and several Leicester City fans connected with me on Twitter, increasing the number of people interested in my Leicester tweets and adding more Leicester tweets by them to my newsfeed. As a social media manager and trainer, responsible for growing my own business and those of my clients, tweeting about what your business offers and why your business is better than the competition is vital. So when I get a week where social media react is over 60 times bigger than my own audience, I’m going to want to tweet about it! Better still, I can write a blog article about the experience, stick it on my website and direct people to read about the experience here. Business blogs are a great way to add relevant content to your website, showcasing products, services and helping your SEO efforts, but if you need a fast blast of traffic to your site when you’re launching a new product, holding a sale or have a goal you need to meet, using social media effectively can provide a huge boost in traffic in a very short time. SEO is a process that takes time, money and effort to achieve high search engine rankings, and then continued investment to maintain your position. Your efforts can be damaged when Google update their search engine algorithms too, meaning even more outlay to recover your position. The best thing is to have an online marketing plan that includes both social media and SEO, with a constant investment on search engine performance and an ongoing commitment to engaging directly with customers through social media. Social Media can act as an extra gear on your car, giving you more power to your online marketing presence when you need it, with your website as the vehicle and SEO as the petrol. 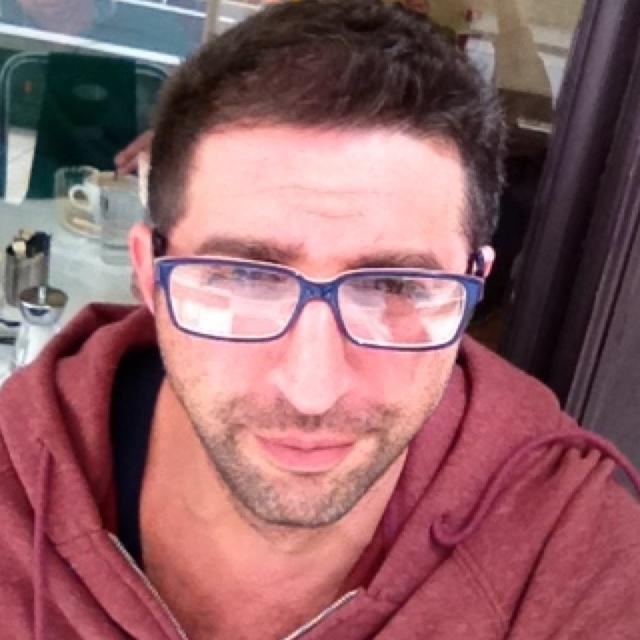 For more information about social media and how it can help you develop your reputation and grow your business, or if you just want to find out more about how to use Twitter, Facebook and other social media platforms effectively. Drop me a line. Check out this Twitter Video about how people use twitter.